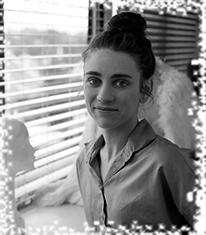 Aleisa Jelbart is a Sydney based Production Designer, particularly interested in highly visual, movement based work. She is the recipient of the 2013-2015 Hephzibah Tintner Fellowship for Production Design and the 2016 Rockend Berlin New Music Opera Award. During 2016 Aleisa designed the costumes for Rafael Bonachela's Lux Tenebris and Anima and Sydney Dance Company's annual fundraiser night, Dance Noir. As part of the 2016 Rockend Berlin New Music Opera Award, Aleisa has spent three months at the Komische Oper Berlin, working with London based theatre company 1927 as a Design Assistant on Petrushka/ L'Enfant et les Sortilèges. In 2015 Aleisa returned to Sydney Dance Company, designing costumes for New Breed and Le Grand Tango (Sydney Dance Company and Sydney Symphony Orchestra) and worked closely with Production Designer Ralph Myers on Myers on Frame of Mind. She assisted Costume and Stage Designer Jenny Tiramani on Opera Australia's The Marriage of Figaro and was the Production Designer for Opera Australia's schools show, Cinderella. During 2014, as part of the Hephzibah Tintner Fellowship, Aleisa designed costumes for Sydney Dance Company's New Breed and was the Design Assistant on Opera Australia's Don Giovanni and Sydney Dance Company's Interplay and Louder Than Words. Much dell'Arte About Nothing 2016.